According to the U.K. surgeon general (1999), mental health is the successful performance of mental function, resulting in productive activities, fulfilling relationships with other people, and the ability to adapt to change and cope with adversity. Over the years it has appeared that mental illness is more common than cancer, heart diseases and even diabetes. It affects not only the person themselves, but the people around them. Mental health and stability is a very important factor in a person’s everyday life that is why those with mental health look for suitable treatment plans that will help them. As of 2001, the majority of the world’s 450 million people who suffer from psychiatric morbidity live in developing countries, and less than 10% have access to mental health care. So because of this difficulty they mostly resort to traditional medicine which is at their disposal to access therapy. But the evolvement of Telehealth over the years has made some changes in the way people seek for mental health therapy, which has tend to draw patients away from the old method because of the numerous benefits it has to offer. Does Telehealth based Counselling Advice actually work? Assessment of patient and provider satisfaction becomes increasingly important as rapid advances in the availability of technology and significant reductions in cost of equipment are fueling enormous expansion of telemedicine services. Early evaluations of telemedicine have traditionally focused on the technological feasibility of efforts to provide medical care at a distance. By bridging the gap between providers and patients and removing barriers to things like location, transportation and convenience the industry can focus on addressing the obstacles that continue to stand in the way of achieving treatment numbers closer 100 percent. In addition, the ease and convenience offered by online health care system to patients with mental illness provides easy accessibility to therapy, all that is needed is simply a computer, webcam, and broadband internet access.This is contrary to the traditional health care system that requires appointments which most times might fail to hold. Increased access by patients who live in remote areas, who are housebound, who have trouble lining up childcare, or just have too much going on in their lives to make room for regular therapy sessions, now have a connection to mental healthcare at their comfort. More so, efficient Telehealth online providers like BetterHelp, who offer services virtually can expand their reach to new clients across their state, not just within their local area, thereby bringing new clients into their therapy system. This is an advantage of online therapy over traditional mental health therapy and it is quite obvious that it stands as one the reasons why patients now run towards online therapy. Another important feature of Telehealth which has taken it above the other is the ability to offer customized care. Leveraging a virtual platform, providers are able to turn their focus to how care is delivered through appropriately-timed assessments and tracking trends and progress over time on their clients. In summary, Telehealth and online therapy has a lot of patient oriented advantages, and through its numerous technological advancement in providing mental care, it has attracted patients to itself and gave them reasons to abandon the other orthodox ways of therapy administration,thus sending them out of market. My Name is Suzane Davies and I have more than 28 years of experience in working with Children diagnosed with Autism, ADHD and learning disabilities. 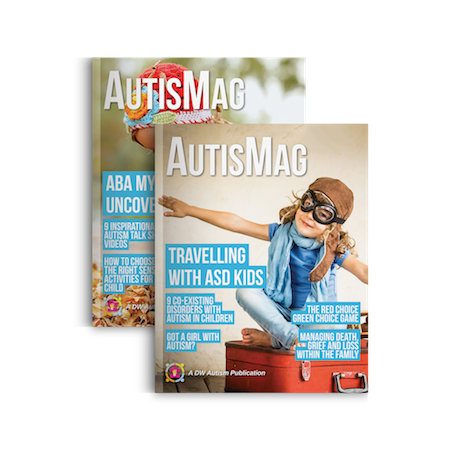 As an exclusive writer for DW AutisMag, I feature the weekly Opinion articles and cover recent stores and trends in the subject area. Check out my profile and my latest posts by clicking here.